↑ Hamilton, Fiona. "PM hails Christian influence on national life". The Times. London. Retrieved 25 June 2013. ↑ Mogg, Ken. 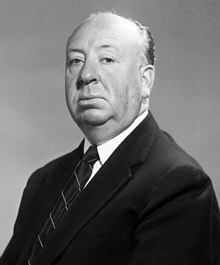 "Alfred Hitchcock". Senses of Cinema. Sensesofcinema.com. Retrieved 18 July 2010. ↑ "Alfred Hitchcock profile at". Filmreference.com. Retrieved 28 May 2013. ↑ "Death and the Master". Vanity Fair. April 1999. Archived from the original on 28 November 2010. Retrieved 30 December 2010. ↑ "Welcome to St. Ignatius College". Archived from the original on 15 March 2008. Retrieved 5 March 2008. ↑ Spoto, Donald (1999). The Dark Side of Genius: The Life of Alfred Hitchcock. Da Capo Press. p. 15. ISBN 978-0-306-80932-3.